The game will feature playable characters from the Illuminati, Cabal and favorites from alternate universes including Black Panther, Dr Strange, Namor, Miles Morales, Captain Marvel (Carol Danvers) and Old Man Logan! Build your team to battle against the various universes in Battleworld. For the first time ever players can now play AS the Mastermind against the other players! 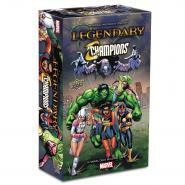 With the Legendary Villains: Fear Itself expansion for Legendary and Legendary: Villains, you can play through the "Fear Itself" storyline from Marvel Comics. Players can work both with and against other players to defeat Iron Man in his Uru Enchanted Armor as he leads the forces of The Mighty while laying waste to planet Earth! With sixteen all new Heroes, five new Villain groups, four new Masterminds and six new Schemes ready to challenge players like never before! Players can work both with and against other players to defeat the various Battleworlds while laying waste to planet Earth and, for the first time ever, players can now play as the Mastermind against the other players! 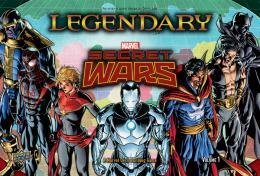 Expand your Legendary experience with a new generation of Marvel heroes! The expansion will feature 5 new heroes, 2 Villain groups, 2 New Masterminds and 4 new schemes. Returning favorites as well as all new game mechanics!